Home / HOW TO / What Should You Do To Pass CAT - ASVAB Exam / Test? 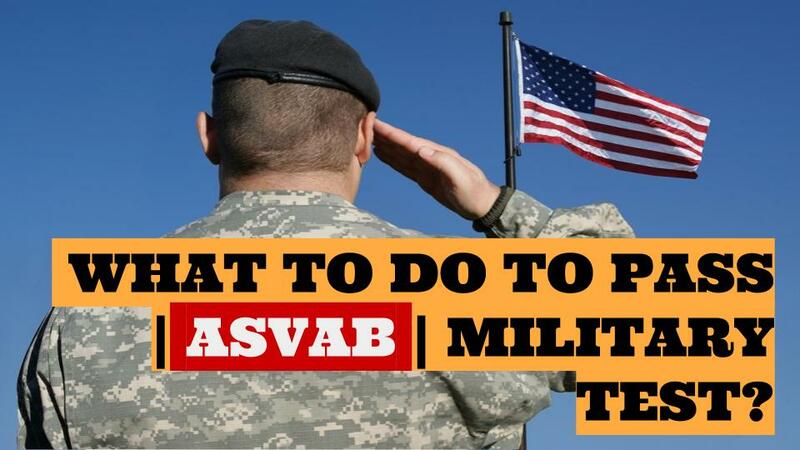 The ASVAB test is offered at about 14,000 U.S. high schools, at Military Entrance Processing Stations (MEPS), and in remote locations called Military Entrance Test (MET) sites. There are two versions of the ASVAB test. You can take the written test or you can take the computerized test. In order to enlist in the U.S. military, you have to take the Armed Services Vocational Aptitude Test (ASVAB). 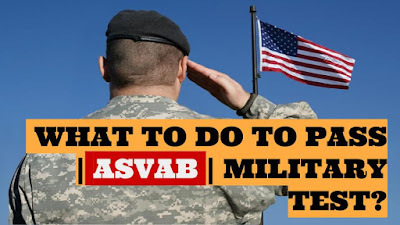 The ASVAB consists of nine separately timed subtests, which are primarily used by the military to determine your aptitude to learn various military jobs. Army (including Army National Guard and Army Reserves): The Army requires a minimum AFQT score of 31 for those with a high school diploma and 50 for those with a GED. At times when the Army is experiencing high recruiting and reenlistment rates, it has been known to temporarily increase its qualifying AFQT score minimum to as high as 50. Air Force (including Air National Guard and Air Force Reserves): Air Force recruits must score at least a 36 on the AFQT to qualify for enlistment, but over 70 percent of people who are accepted for an Air Force enlistment score 50 or above. For those who have a GED, rather than a high school diploma, the minimum score is 65. Note: Only about 0.5 percent of all Air Force enlistments each year are GED holders, so if the Air Force is your goal, you should graduate from high school. Navy: Navy recruits must score at least 35 on the AFQT to qualify for enlistment. For GED holders, the minimum score is 50. Navy Reserves: The Navy Reserves requires a minimum score of 31 on the AFQT for those with a high school diploma and 50 for those with a GED. The Navy is the only branch for which the requirements for the Reserves are different from the requirements for the branch itself. Marine Corps (including Marine Corps Reserves): Marine Corps recruits must score at least 32. Very few exceptions are made (about 1 percent) for some otherwise exceptionally qualified recruits with scores as low as 25. Those with a GED must score a minimum of 50 on the AFQT to be considered. The Marine Corps limits GED enlistments to no more than 5 percent per year. Coast Guard (including Coast Guard Reserves): The Coast Guard requires a minimum of 40 points on the AFQT. A waiver is possible for applicants with prior service if their ASVAB line scores (which are computed from the various ASVAB subtests) qualify them for a specific job and they’re willing to enlist in that job. For the very few people (less than 5 percent) who are allowed to enlist with a GED, the minimum AFQT score is 50. 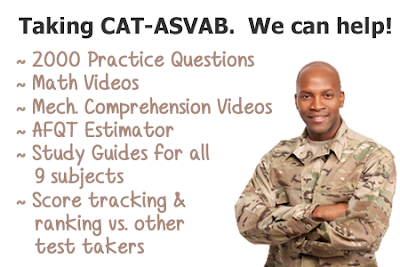 >> ASVABer is the Ultimate ASVAB Practice Solution prepared special for military candidates.